Last Friday, Universal released The House with a Clock in Its Walls, based on the 1973 John Bellairs children’s mystery novel of the same name. I had never read or heard of the book, but the film’s trailers and cast in particular instantly got my attention. The fact that it looked Halloween-ish with creepy imagery – including sentient pumpkins – didn’t hurt, either. So far it seems to be doing modestly well at the box office, with a $26 million opening weekend. 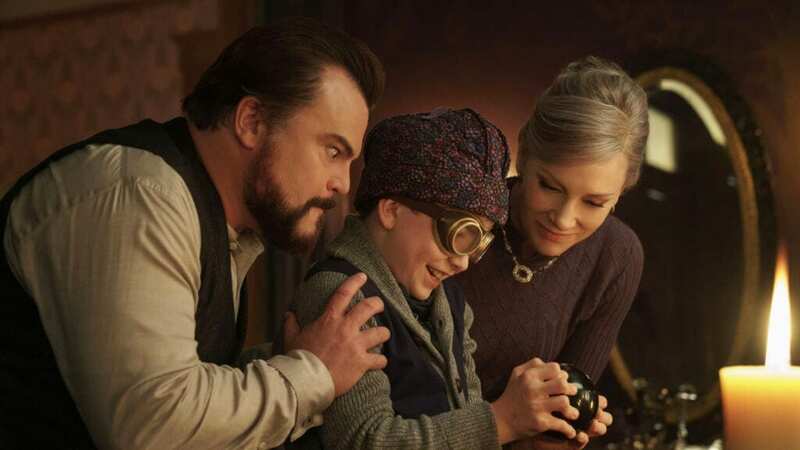 The House with a Clock in Its Walls introduces us to a young boy named Lewis Barnavelt (Owen Vaccaro) who has just lost both parents and is being invited to live with his eccentric uncle Jonathan (Jack Black). Once there he meets Jonathan’s neighbor, friend and poker buddy Florence Zimmerman (Cate Blanchett), and it soon becomes apparent that the two are hiding something from him. Eventually, Jonathan reveals himself to be a warlock, and Florence a witch, and he agrees to train Lewis in the art of the magical. However, there are still more mysteries, and something dark and evil, at work beneath the surface. As I mentioned, I haven’t read the original book, so I won’t be comparing the film to it; some flaws and highlights of the movie are also bound to have originated from the book, but I’m just going to take them as aspects of the film since I can’t be sure. The House with a Clock in Its Walls feels similar to scary kids movies released in the 1980’s like Monster Squad and The Watcher in the Woods; while it is a family-oriented scary movie, it doesn’t always shy away from dark and scary images and concepts as much as you’d expect, and the bullies at school act like real bullies. That being said, there’s still plenty of humor and adventure to balance out the film’s creepier scenes, and there are several emotional points in the story, too. Tonally, the film is very well balanced and knows just when to “change the subject” without completely diffusing the film’s core tension, unlike some other children’s/family films. The House with a Clock in Its Walls has visual spectacle to spare, and the tamer scenes look great too. Effects on things like animated pumpkins and corpses are amazing, and there are plenty of smaller things you can catch throughout the film, particularly in Jonathan’s house. The music suits the tone of any given scene and adds another layer to the ambiance, but it doesn’t stand out. The film’s cast is excellent. 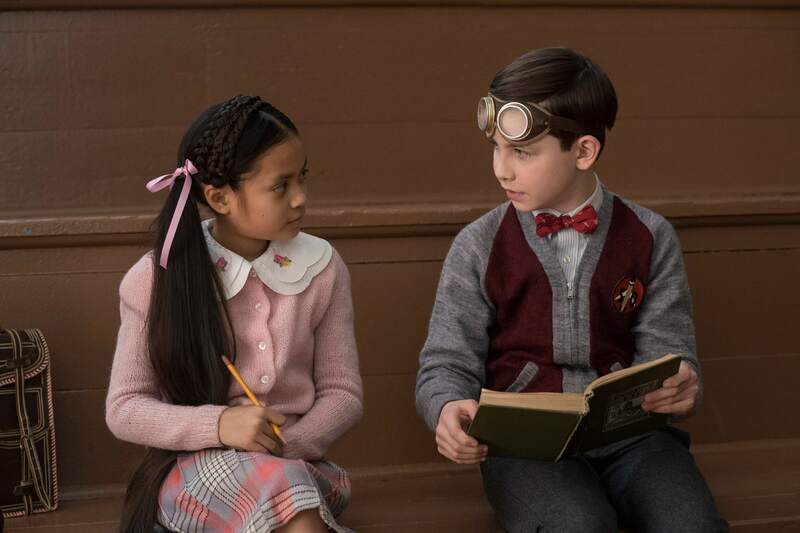 While Owen Vaccaro as Lewis is far from being the movie’s highlight, he does a fine job embodying the grieving process after the loss of his parents. His fear and eventual amazement at the house are tangible, and he works well as the audience avatar throughout the story’s twists and turns. Jack Black is really funny and charming as usual, and does well in his more serious scenes, including one in which he describes the events leading up to leaving his family. His relationship with his nephew is well done and progresses naturally throughout the film, and the rapport he has with Florence is definitely one of the best parts. Speaking of Florence, while she isn’t the main character, Cate Blanchett is definitely a scene-stealer in The House with a Clock in Its Walls. I wasn’t expecting this character to have a tragic backstory and such a wide array of emotions, but she quickly became my favorite character, and the most sympathetic. 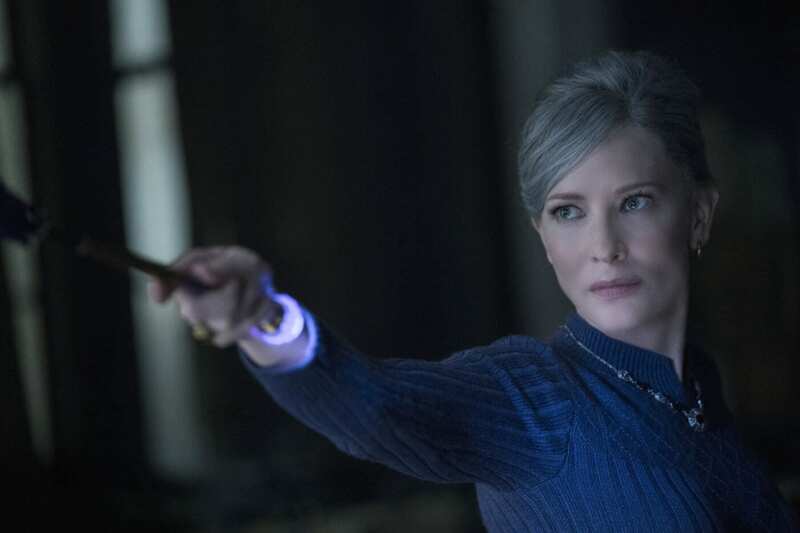 Cate Blanchett is always great, and she delivers some of the most poignant lines here and does it with passion and flair. I’m not sure if it comes down to the dialogue, the performance, or both, but I never bought that Lorenza Izzo was Lewis’ mother. She doesn’t look believable as his mom, and in their exchanges, I didn’t feel any warmth from her end. You can see Lewis’ yearning for his parents in his eyes, how much he misses them, but she feels fake in every way. A twist late in the film made me wonder if this was intentional, but if so, it would have been better to get the audience emotionally invested in these moments and their relationship. Kyle MacLachlan plays villain Isaac Izard, who has a history with Jonathan and Florence, and his performance is good. That being said, he’s completely wasted on the film. He has a total of maybe five minutes of screen time, and while his motivations are understandable and his actions terrible, we don’t really get to know the character. This is one aspect of the film that feels like something of a missed opportunity. His wife Selina (Renée Elise Goldsberry) is a nonentity. Another thing I didn’t love so much is the portion of the film that takes place at Lewis’ school. It’s not that these scenes are bad, and as I mentioned, I appreciate the way they portray his classmates, especially the mean kids. I just found these sequences less interesting than the scenes in Jonathan’s house and Florence’s house. I also felt a lot of secondhand embarrassment for Lewis at school, and while that proves that they’re effective scenes, it also took me back to a time I don’t like remembering. Sort of like with my nitpicks with Finding Neverland, I chalk this one up to personal idiosyncrasies rather than inept filmmaking. Overall, I really enjoyed The House with a Clock in Its Walls, and it’s worth mentioning that my family did too; I think this is one that will play well to different age groups. This is a scary movie for kids and families, but it never talks down to its audience or sugarcoats the story’s darker aspects. The visuals are gorgeous, the music is creepy, and the cast is tremendous. I didn’t enjoy the school scenes much, and Kyle MacLachlan is under-utilized as the film’s villain, but altogether The House with a Clock in Its Walls is a perfect Halloween movie to take the whole family to see, and I’d recommend it heartily.